One of the first things anyone notices during a visit to Cambodia, is the unbearable heat. 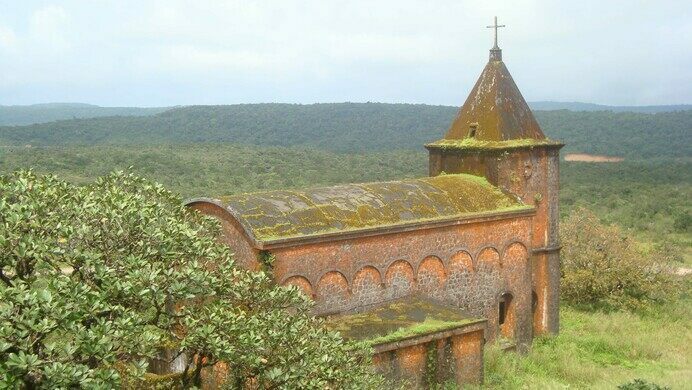 Sweltering and oppressive temperatures and humidity beat down on travelers wading through the dense tropical jungles of the Southern region. Hoax, mistake, or evidence of dinosaurs in human times? Incidentally, when a larger and more aggressive group of travelers, the French military, made their way through the country, they also found the weather brutal and unforgiving. As the unfamiliar temperatures began killing off French troops, the occupying European power needed to create artificial respite. 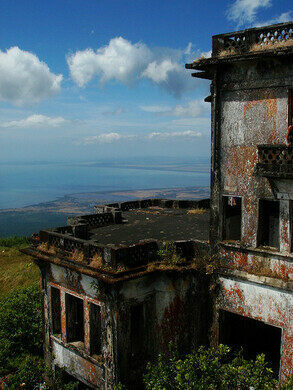 Their answer to the tropical problem was Bokor Hill Station, a small resort town for French soldiers in the region. 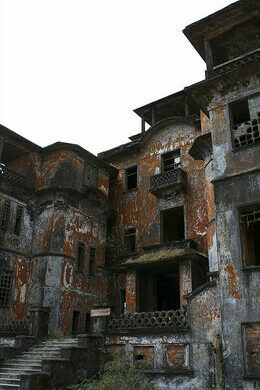 Construction finished in the early 1920s, and the result was jungle chic. Instead of building a small outpost to keep soldiers cool and dry, the French opted for opulence, and a small elegant city was born. 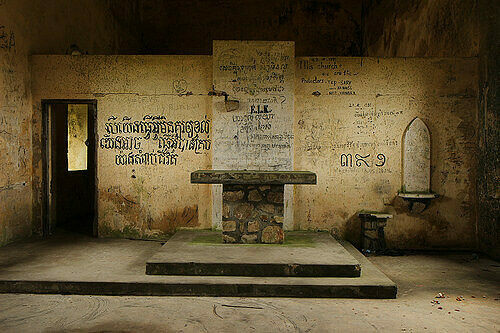 Bokor Hill was built with the basic amenities of a post office and church. 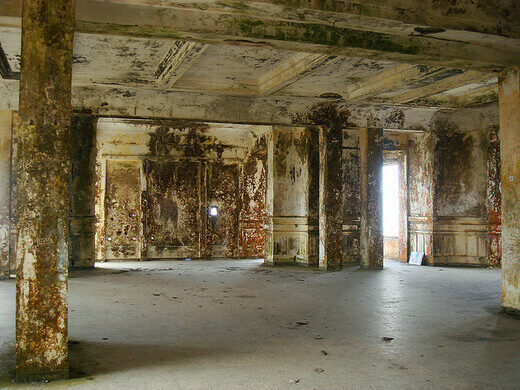 It was also featured the over-the-top Bokor Hill Hotel and Casino, which stands as a monument to French occupation in Cambodia. 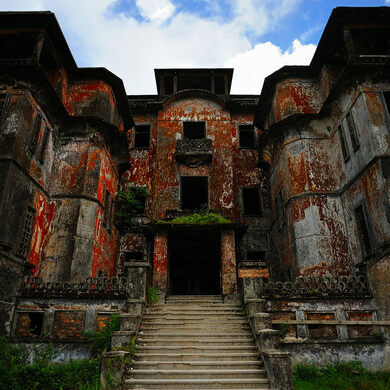 When civil war broke out in the 1940s, the French headed back to Paris, leaving the station abandoned and open for use by various military regimes including the Vietnamese and Khmer Rouge. 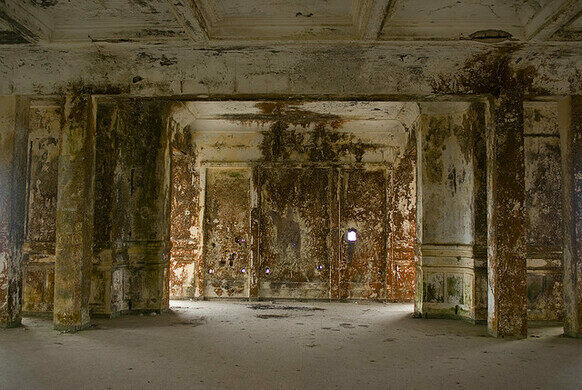 Continuous war throughout the 20th century left the station gutted and eerily decaying in the center of Phnum Bokor National Park. Only one completely ruined road leading to the relic still exists, and is a bumpy ride up more than 3,500 feet to the station. 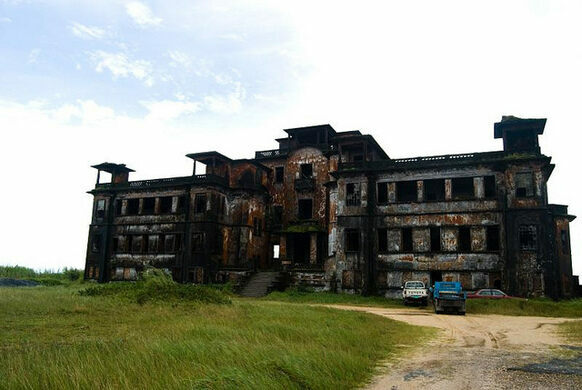 Recently, a private investment group has outlined a plan to rebuild the road and restore the area, creating a larger Bokor Hill city complete with a casino and golf course, making Bokor once again a stop for invading foreigners in the southern jungles of Cambodia. The project is now well under way, as can be seen in some of the photos. 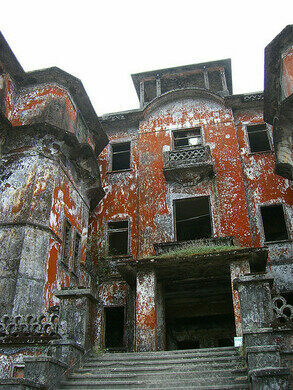 The red lichen on the walls has been covered with a layer of thin concrete making the building look newer, even at the cost of the old charm. The casino has been built, though the locals consider it an eyesore. 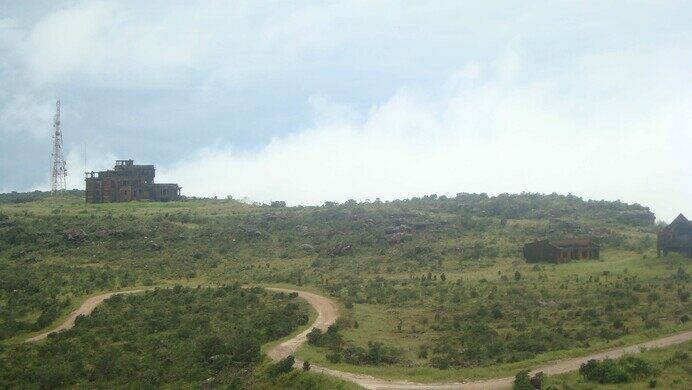 Behind the temple is Wat Sampov Pram, Temple of the Five Ships, where rock formations look a great deal like sailing ships when the fog the normally enshrouds the mountain is clear enough to let you see them and the spectacular view of the valley below. Farther down the road, but still on the mountaintop, is Popkvil, Waterfall in the Clouds. it is a popular destination and worth the short ride from the old casino. Between the two, along a back road, is an area called 500 rice fields; a natural area that looks a lot like the Cambodian countryside in miniature. 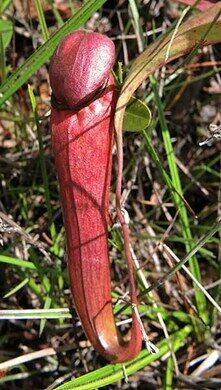 Across the street and through the guard station is an area teaming with rare carnivorous plants; nepenthes or pitcher plants. This area is perfect for their growth and hundreds can be found along the road. They have garnered a lot of attention in recent years because the young plants can look a great deal like something you might buy in an adult toy store. Some of these plants can be found in the 500 fields area, but if you are a photographer, it is worth it to pay the few bucks to get into the area where the bigger plants can be found. Update December 2018: The reconstruction is complete and it is no longer derelict. Around 40 km driving from Kampot. An abandoned stretch of highway, deteriorating next to the operational one. 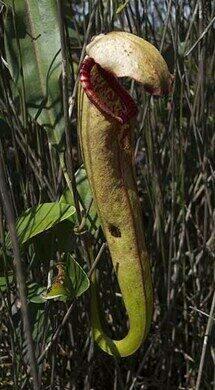 A rotting air force base is now home to rare birds and scarce plants.